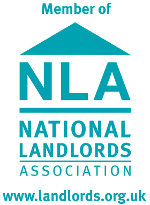 Jess Chai is a full time property investor and an NLA accredited landlord. She began working in her father’s property business after graduating from university in Enterprise and Entrepreneurship. After years of intensive training in the classroom and in the field, she now runs three property businesses and regularly contributes to a property blog detailing her learnings and giving practical advice to aspiring property investors. Through Tigrent (Legacy Education Alliance), one of the world’s leading training companies in wealth acquisition and real estate, Jess has been trained in buy to let, HMOs, Social Housing, creative finance, distressed property and lease options and is now flown across the world to assist in running educational workshops.